Mexico, Peru and Chile have experienced a considerable increase in the export of avocado in recent years. A country reporting similarly impressive growth figures is Kenya. In 2017, 166 per cent more was exported than in 2013, amounting to 78,000 tonnes. Because of this, the export of the East African country increased faster in percentages than the export of Mexico in that same period. The government in Nairobi encourages the production and export. How large is production? How quickly is export increasing? What about worries about quality of European importers? We investigated. “This is a continuing process, but in the past ten years the sector experienced a rapid growth,” says Paul Kyalo, Operations Manager for BioFarms. 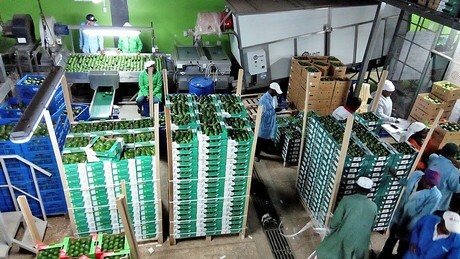 Although there are differences in the avocado figures offered by databases, the trend is obvious: production and export from Kenya are growing. “Avocado is an important commercial fruit that is mostly grown by small and mid-sized growers in Kenya,” Paul explains. “The biggest varieties we grow for export are Hass, Pinkerton and Fuerte.” Besides, Puebla, Duke and G6 are also grown. “The domestic market mostly asks for these varieties,” Paul explains. “Hass and Fuerte are mostly grown for export.” Kenyans consume avocados as fruit, but also process them into juice or they use them as vegetables. Because the season lasts from March until August, this is a gold mine for the Kenyan sector. Traditionally, supply is particularly difficult in Europe in the first few months of the Kenyan season. A short season follows in October and December. In that second part of the season, it’s mostly the western part of the country that’s on the market, in Nyanza and the Rif Valley. Surrounding countries, Uganda, Tanzania and Burundi, have similar seasons, but Paul mentions that export from these countries isn’t very well developed yet. 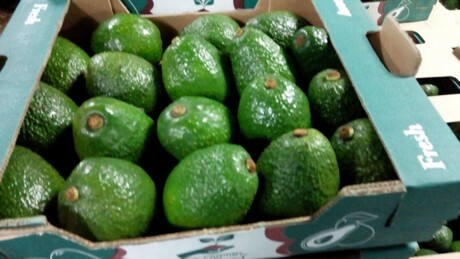 According to figures from the Kenyan Horticulture Crop Directorate, the export of avocados contributed 4.63 billion Kenyan shilling (about 40 million euro) to the export of fruit in 2016. As a result, the avocados were good for eight per cent of the export value, and a growth of 4.2 per cent was reported compared to 2015. “The growth is attributed to the higher prices on the global market and the opening of the Russian market,” Paul explains the figures. 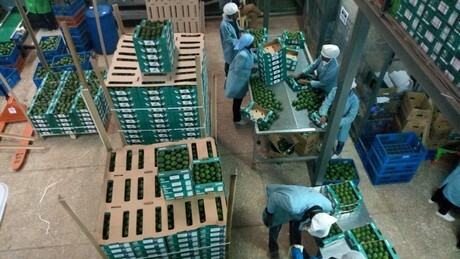 Russia also turns out to be a good market for the Fuerte avocado, which is less popular in Europe. This growth can also be seen in export figures of the Trade Map. In 2010, 20,183 tonnes of avocados were exported by Kenya, but in 2017 they exported 51,507 tonnes. Export increased every year in that seven-year period. The area rose from 12,383 hectares in 2015 to 13,017 hectares in 2016, an increase of 6.1 per cent, according to the Horticulture Crop Directorate. New plants outside of traditional production regions in the Rift Valley contributed to the increase. Production rose from 230,984 tonnes to 246,057 tonnes in 2016, which amounts to an increase of 6.6 per cent. The majority of the production can be found in the Murang’a region, which is good for 53 per cent of the production. This is followed by Kisii (11%), Kiambu (9%) and Nuamira (4%). 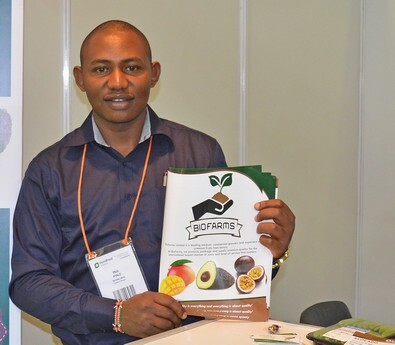 Biofarms Limited is a mid-sized production and export company for Kenyan fruit. The company is specialised in the export of conventional and organic avocados, conventional mangoes and passion fruit. BioFarms recently received the European organic certificate for the avocados. “That’s a major achievement because of large demand for organic avocados in Europe.” The company currently has an area of about 180 hectares of avocados and 80 hectares of mangoes. This area grows every year. Besides their own production, the company also exports the production of about 5,000 growers from Kenya, Tanzania, Rwanda and Uganda. “We mostly work with avocado growers in these countries. For the mangoes we only cooperate with Kenyan growers.” The majority of the growers, about 80 percent, is located in Kenya. The remaining 20 per cent is equally divided across the three other countries. “It’s true the production of avocado is increasingly rapidly in Kenya,” Paul confirms the more general trend. “A number of growers is switching from traditionally profitable crops such as tea and coffee to avocados.” That trend is inspired by the good profits made as a result of the growing export markets. “The Kenyan government supports this and invests in a growing awareness and support of the growers and the private sector to increase export.” As of 2010, the national and local governments have dedicated themselves to supporting the growers. Besides, public bodies, the Horticulture Crop Directorate and Kenyan Plant Health Inspectorate Service work together to implement international standards in order to increase competitiveness of growers on the international market. Passion fruit is a second product with much commercial potential, considering demand for both the fresh product and juice surpassing domestic production, according to Paul. In 2016, the economic value of the of passion fruit amounted to 1.64 billion Kenyan shilling (about 14 million euro). This fruit therefore had a share of 2.54 per cent in the total value of the fruit production. The sector reported a growth of 35 per cent. The area also increased by 14 per cent, to 3,175 hectares and a production of 42,210 tonnes (+39%). “The production of passion fruit is faced with some challenges,” Paul says. “Including the increasing number of reports of fusarium wilt, dieback and woodiness virus.” The production is concentrated in the regions of Embu (22% of production), Kwale (17%), Elgeyo Marakwet (11%) and Nyeri (8%), according to figures of the Horticulture Crop Directorate of Kenya.